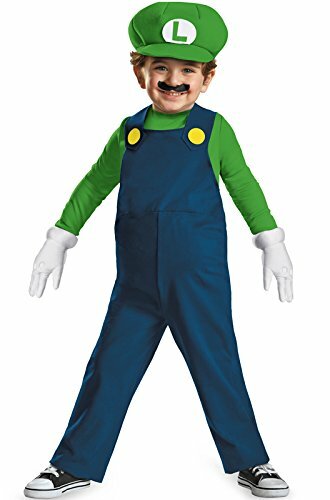 These official Nintendo Mario Brothers Luigi costumes are an awesome tribute to an all-time classic character! 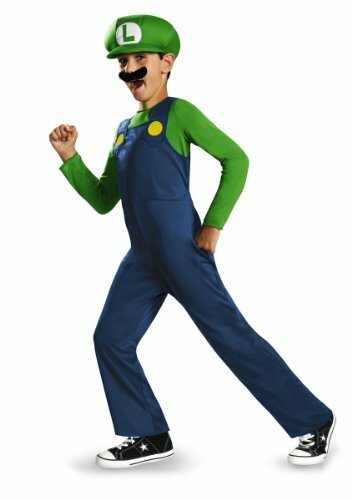 Whether your memories include hammering and jumping barrels climbing to the top after Donkey Kong or driving crazy on Mario Cart Wii - these costumes will set the stage! These are the deluxe costumes, with better fabric and real buttons - be sure to compare apples to apples. Great on their own, and even better with the other classic Nintendo costumes in our store for the whole family! Includes hat. Does not include costume, moustache. This is an officially licensed Nintendo TM product. 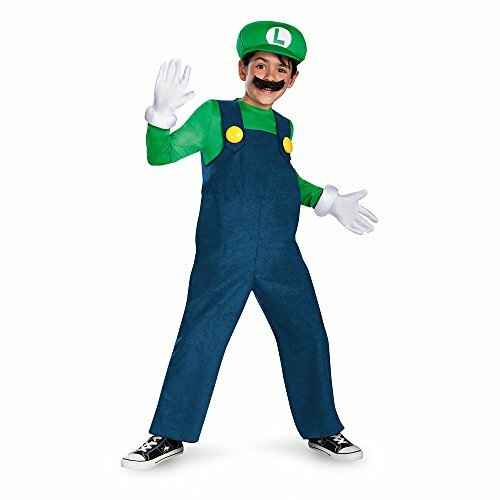 Make any holiday party more fun when you arrive wearing this Luigi Deluxe Men's Adult Halloween Costume. 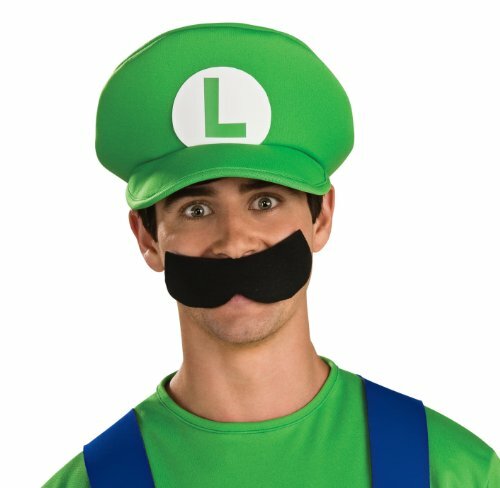 As one of the best-loved characters from the Nintendo games, everyone is sure to know who you are. 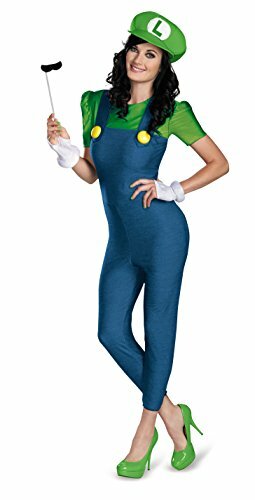 This Luigi Halloween costume features a blue jumpsuit and a detachable belly with a pair of white gloves and a hat. A fake mustache completes the outfit for an authentic look. The details stay true to the character with the "L" logo on the hat. 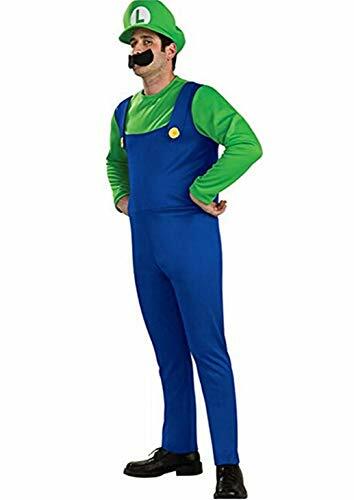 This Luigi costume for men is ideal for dressing up at the office, taking the kids trick-or-treating or attending a costume party. Since it is made of 100 percent polyester, it is easy to wear and comfortable for all-day wear.